April Coulter is originally from the sweet South Alabama town of Brewton, but from the moment she arrived in Auburn for a college visit and experienced what the “Auburn Family” was all about, she knew it was the place her heart would call home. Auburn’s small-town friendliness and charm, coupled with the multitude of activities for singles, young couples, families and retirees was exciting. April enjoyed attending Auburn University and earning a degree in Public Relations. Even as a child, April liked joining her mother on home tours, studying house plans and perusing design magazines. While she spent her early career focused on Public Relations, Marketing, Sales and Management for Medical Practices, April felt a calling to become a REALTOR® that was too great to ignore. She values being part of the Three Sixty team, where a technology-driven, forward-thinking approach, combined with excellent marketing and a commitment to development and design are the perfect match for her talents. April has a strong commitment to customer service and the happiness of her clients. She is careful to explain information and make the buying and selling process as seamless as possible. 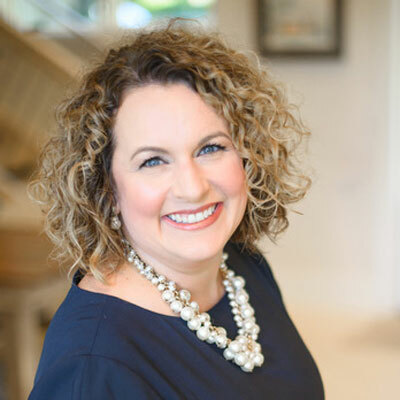 April truly enjoys getting to know and understand her clients’ needs and motivations, while utilizing her organizational skills and diligence in negotiations to go the extra mile to make sure her clients are satisfied. April values her community and the Heroes who keep it one of the most desirable places to live in Alabama. That is why she became a Homes for Heroes® Affiliate. Homes for Heroes® is a national program established shortly after the tragic events of 9/11 as a way to give back and say “Thank You” to our nation’s Heroes. All those serving in the fields of Law Enforcement, Firefighting, Emergency Medical Services, Education, Medical, or Military (active, reserves and veterans) are considered Heroes. When Heroes work with April, she donates a portion of her commission so they may receive Hero Rewards®, which allows them to save significantly when buying and/or selling a home. With each Homes for Heroes® transaction, she also makes a donation to the Homes for Heroes® Foundation, a non-profit 501(c)(3) that provides assistance to Heroes in need. To find out more about Homes for Heroes® please click here. April delights in sharing her knowledge and love of Auburn (and SEC football!) with newcomers who are unfamiliar with the area. She is a member of the Auburn Chamber of Commerce and appreciates the ideal local business community. April’s husband, Scott, actively serves in the Alabama Air National Guard. The couple has two energetic boys, Patrick and Collin. The family is active in Auburn United Methodist Church and have humbly served the community through many different organizations such as After School Kids (ASK), Way 2 Serve Ministries, PTO, East Alabama Food Bank, Scott-Ritchey Research Center and others. This busy working mom takes pleasure in cooking and baking to bless others. With two boys, they love any day and activity that allows them to get outside and burn off energy! This active family also enjoys road trips, the lake, the beach, Auburn football tailgating, but most of all, spending time with friends and family participating in all the activities the Auburn-Opelika area has to offer. Fill out this form and I will be in touch soon!